Crock-pot Cheeseburger Meatloaf – This is quite possibly my favorite meatloaf recipe of all time. And that’s saying a lot! If you don’t want to make this in your crockpot, you can bake in your over for an hour and it’s just as good. Texas Hash – It may not look appetizing, but it is soon good. It’s a recipe that my kids AND I both love. I always love a hash because it’s easy to throw together for a quick dinner. MaMa’s Crock Pot Cube Steak – This recipe came from my friend Tia and while it is a little time-intensive, it is worth every single second! If you have not made this before…you need to put it on your meal plan for sure! I do use homemade cream of mushroom soup in this recipe. It cooks all day long and turns into a pot of glorious happiness. Pressure Cooker Pot Roast – Obviously, I am not paleo…Hello bread. But I do love a good pot roast! This recipe was really easy and the meat turned out super tender. Easy Ground Beef Stroganoff – My family and I love easy main dish recipes. This is definitely one of those! Mel’s Kitchen Cafe is a great blog and this recipe is by far the best I’ve ever found. Pressure Cooker Mongolian Beef – Y’all know I love my pressure cooker! This is one of my favorite pressure cooker recipes. It’s got this rich, flavorful sauce that just soaks in to some fluffy rice perfectly. Barry is a big fan of this recipe. Mom’s Salisbury Steaks – This is (surprise, surprise) my mom’s recipe. She (oddly enough) uses cornflakes in this recipe. This is the only reason I ever buy cornflakes. LOL. But these are always delicious! 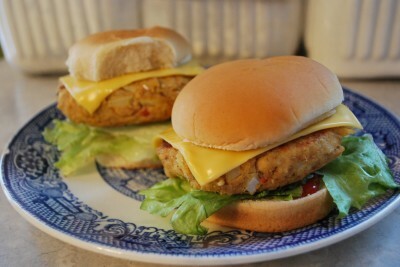 Salmon Burgers – While I may not be very fond of fish, I don’t mind canned salmon or tuna. These burgers a fun alternative to my usual tuna melt. Super Easy Skinny Veggie Crock Pot Lasagna – this recipe is almost exactly like my Crock Pot lasagna, except it uses vegetables instead of meat. It’s delicious. We love having this meatless meal in our rotation! Pasta with White Bean Alfredo Sauce. This is from Kitchen Stewardships’ Everything Bean cookbook. We love this pasta! I always puree the beans and my kids don’t even know they are in there! It’s a great meatless meal option. Italian Chicken Casserole – This is a really old recipe from Tasty Kitchen, The Pioneer Woman’s contribution site. We love it, and it travels well, if you have to take a dish to an event. Million Dollar Spaghetti Casserole – I feel like I have shared this recipe with y’all 700 times. But I can’t help it. We just love it! It’s perfect to take to church potlucks or to bring to new moms. We also love that it is a meatless meal! Spaghetti Comodoro with Homemade 15 Minute Meatballs – This recipe had me at 15 minute meatballs. Seriously awesome! Light Fettuccini Alfredo – Don’t get me wrong, I love a good Fettuccine Alfredo. But this recipe is so creamy and delicious, but not as heavy as some the recipes out there. I love that we never feel “heavy” after eating this. One Pot Spaghetti – This is one of the most popular main dish recipes on my blog – I mean, HANDS down. 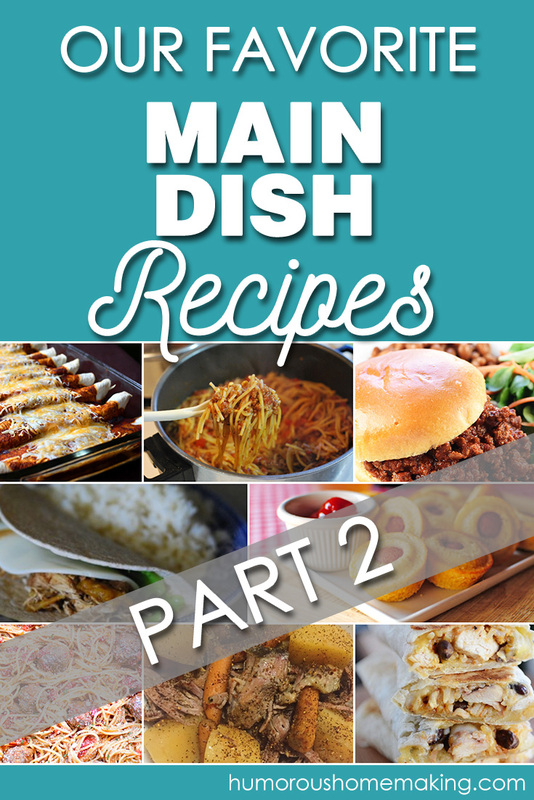 It’s easy, delicious and super affordable to make. The Pioneer Woman’s Cajun Chicken Pasta – It’s no secret that I absolutely love The Pioneer Woman. Every recipe of hers that I have ever tried has been delicious! And this one is my favorite recipes of hers of ALL Time. It’s incredibly good! Pepperoni Pizza Puffs – This recipe was adapted from Everyday with Rachel Ray. My kids absolutely love these. They are basically pizza muffins – how can you go wrong? These make a fun dinner for family movie night. Bacon Cheeseburger Quesadillas – These are so simple and delicious. You can go wrong with bacon. And cheeseburgers. AND quesadillas! Crispy Southwest Chicken Wraps – Another family favorite that is perfect for summer time. These are very flavorful – just so, so good! BLT Quesadilla Wrap – This one is a fun twist on a traditional Mexican quesadilla and it’s a great meal in the summertime! Mini Corndog Muffins – This is a special treat meal that I make for my kids sometimes. I know hot dogs are still processed meat, but I buy uncured nitrate/nitrite free beef hot dogs at Walmart and feel better about feeding those to my family. Gringa Mexican Rice – This is one of my newer main dish recipes that I’ve recently started making and I must say…everyone loves it! Rice, meat, and corn – it’s simple and really yummy. 7-Layer Dip Burritos – Y’all – this recipe will blow your mind. Seriously. These are delicious. Crock-Pot Cincinnati Chili – I’ve gotten a lot of emails from people from Cincinnati who tell my chili is not ACTUALLY true Cincinnati chili because it has no cocoa powder in it. But just keeping it real y’all, I prefer mine without it. And also, because I get asked this a lot, Cincinnati chili is TOTALLY different from regular chili – and you eat it over noodles instead of cornbread. 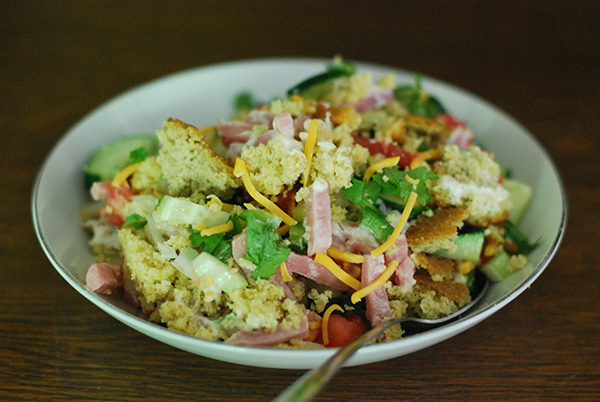 Cornbread Salad – This recipe is almost too easy to be considered a recipe! It’s just crumbled cornbread with ranch and whatever veggies you’ve got on hand. We love it and make it a lot in the summer time. Egg Salad – Nothing fancy about my recipe, but it’s one of my go-to main dish recipes for the summer time when I don’t want to crank up the oven. Crock-pot Beanie Weenies – For some reason this super simple dish is a kid favorite in my house. And I love that it doesn’t take much effort and just cooks in the Crock Pot all day. Broccoli Cheddar Baked Potatoes – I realize this doesn’t sound like it should be one of my main dish recipes, but it’s a great affordable and delicious meatless meal option. It’s very filling! I cut the milk in half whenever I make this recipe because I like my cheese sauce to stand up and walk. If you prefer a runnier cheese sauce, then go ahead and make it as the recipe is written. 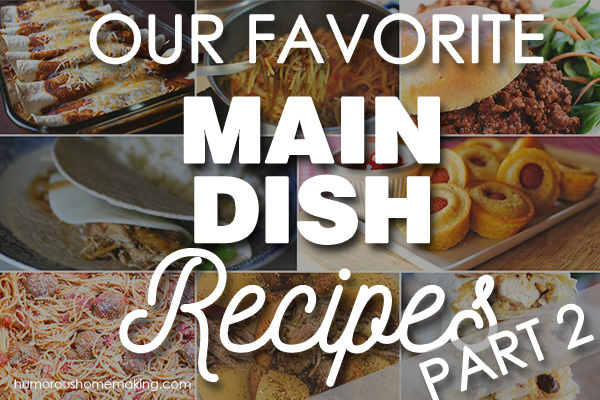 Comment below with your favorite main dish recipes and let me know if you think there is something I should add to my collection.